Happy 2019 from Down Under! Aussies put a lot of bang into Sydney's world famous fireworks, and this New Year's was no exception. 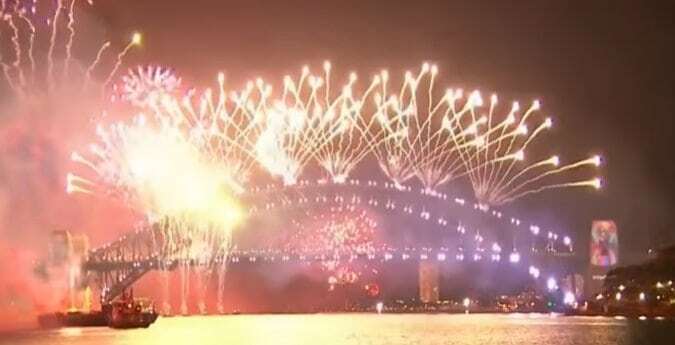 Let’s face it, nowhere quite does New Year’s fireworks like Sydney, Australia. Maybe it’s the gorgeous harbour reflecting the dazzling show. Perhaps it’s the almighty coat-hanger, the Sydney Harbour Bridge, that straddles it, from which pyrotechnicians find ever more inventive ways to explode things from. Or maybe it’s just the sheer volume of outright bang Aussies put into it. New Year’s 2019 was no exception. Check out the full video of this year’s amazing (again) display, below. Happy 2019 from Down Under!